Below are some frequently asked questions that will help provide information about our services. If you have any other questions or queries, or just want more details, please feel free to get in touch – we are happy to help! There’s no such thing as a silly question, so always feel free to bounce ideas off us. I want to make laser cut jewellery, where do I start? We have a few different ways to help you get started on your laser cutting and engraving adventures, depending on your skill set and what you want to make. If you’ve never, ever made jewellery before, start with something simple. Try starting out with something simple, like purchasing a pre-cut mixed bag or circles, maybe some glue and some earring posts and back. This will get you familiar with all sorts of things like peeling (all laser cut pieces come with protective tape that will need to be peeled off), gluing, what different materials are like, etc. And you’ll have an awesome earring collection after you’ve done playing. If you’re familiar with making jewellery, the next level would be to play around with different products from our range of shapes. You can browse a variety of designs by theme or size, and most template shapes have options to be cut with or without a hole/loop, to make hanging items like dangly earrings, etc. You can get creative and make literally hundreds of different end products by linking and combining different template shapes. Lots of our customers build big, beautiful brands simply by using our templates range. They maintain their own style and unique identity by picking unique material combinations, or gluing and linking shapes together in ways that think outside the box. If you want to make custom design, with more opportunities and complexity, you’ll want to look into creating your own vector files to utilise our custom laser cutting and engraving service. This is peak complexity, and also the best option for getting super creative and bringing to life unique ideas. If this is where you want to be, start by reading our Set-Up Guides and install an Adobe Illustrator trial. If you are interested in making custom designs and setting up a vector file isn’t accessible to you, we make some recommendations for graphic designers on our website that offer this as a service here. Or, as we highly encourage – try it yourself! The internet is full of free resources to teach any beginner to make vector files. The head honcho at Vector Etch is completely self taught from online tutorials for vector work! I have no idea about sizing, what size should I order? The BEST way to get an idea for sizing is to print out what you want so that you can view the actual size in real life. It can be a low quality print on a basic printer – just print it out, roughly cut it out, and have a look. Seeing things in real life at actual size is super helpful. Even with years of experience we still can’t tell just by looking at a design if all of the details are the right size and will engrave well – we still print onto paper all of our own personal projects before laser cutting to proof them! When you print it out, you might find that your design is too detailed and needs to be larger, or that some parts are too fine and need to be thicker, or it might be just perfect! Either way, if you can be pleased with how your design is looking printed in black and white on plain paper at the size you envision, you’re going to LOVE how it is once it has been laser cut! Will the details work out? If your design has fine details, like thin lines, it’s a good idea to print it out at the size that it will actually be and see how it looks. It’s difficult to gauge how images on a screen will look when they’re engraved/laser cut and printing your design out on your home printer is by far the best test to get an idea of how it will look. For a fool-proof etching guide for details, we recommend making sure that your line width is at least .2mm, or .5mm if inverted. How do you check that? Measure it digitally using the line tool. Also, look at the design from a distance – can you still make out what it is? While printing isn’t going to give exactly the same result as the laser machine, if all of your details look good printed at the actual size, that is a really, really good start. The most common mistake we see in terms of detail is that people have an artwork that has been drawn larger (like A5), and then scale it down to be small pieces. There’s usually just too much going on to tell what it is when the design is shrunk so much! I don't know if my idea will work and I don't want to waste money, what should I do? The BEST way to ‘test if your idea will work’ is to prototype it at home first by printing it out on a printer and seeing how it looks, roughly fits together, etc. Prototyping with paper first doesn’t sound very fancy or fool proof, but if you can be happy with your designs in your hands at actual size in paper before investing in getting them laser cut, you’re likely going to LOVE how they are laser cut! I can't draw, what should I do? Purchase the appropriate rights for use artwork online. My favourite resource for purchasing designs is Creative Market. If you like any (or all!) of these options, all that you need to do is make sure that the illustrator/designer/artwork matches up the design with the set-up guides for the product that you are interested in. For example, you wouldn’t want to pay for a watercolour painting to have cut from acrylic, because it just wouldn’t translate to different puzzles pieces of acrylic without needing to be modified further. Just be aware of the requirements from our Set-Up Guides. What you should avoid doing is using images that you’ve found online. Just because it’s online, does not mean that it is free. You need to contact the original creator to find out if you can use to for commercial use. You also shouldn’t copy someone else’s existing design/s, that’s highly un-ethical. I want to buy an image that I've found online - what do I need to look for? Purchasing commercial rights for use for designs online is a great way to get designs. Designers grant you their permission for you to use their work for whatever outcome you like (typically – it can vary! ), and you pay a fee that they’ve set to do so legally and ethically. My favourite resource for purchasing designs is Creative Market. Make sure that you’re purchasing the correct commercial rights for use if you intend to sell/re-sell (note: you may need to purchase extended commercial rights, depending on how you intend to use the design/s). Some websites display prices for personal use by default, and commercial rights for use are usually higher. Buy from a legit design resource website and/or do your research to double check that the design is meant to be there. I (Ella) have personally had people upload my work to ‘free for commercial use websites’ and makers (unbeknown to them) made products from a design that they did not have permission for from the original creator. This is commonly only an issue with websites that promote ‘free’ designs.  *It’s likely that you will be able to purchase a vector image online, and will then need to have it set-up to be suitable for laser engraving (such as setting the cut lines and laying out how many pieces you would like cut from a sheet. Refer to our Set-Up Guides for more information, or reach out to a designer to see if they can format the image you want for laser cutting. If you order via our website shop listings (such as your Shop our Shapes), all of the options for quantities and prices are shown via the product listings once you’ve selected your options. These prices vary depending on the size of the product, quantity, and material chosen. These prices are all inclusive (of any file set-up required, material use, laser time, laser operator time, and packaging your order). Shop our Shapes to view products and pricing. If you order as vector file, the price will vary depending on how long your file will take in the laser machine, and what material you use – so the price really depends on what’s in your file. See the Vector Pricing Guide for more information. Can you give me a price without me supplying a file? No. We may be able to give you an estimate, but it’s very difficult to price a job without a file as we need to calculate how long your design will take in the laser machine. See the Vector Pricing Guide for more information. Does Vector Etch offer wholesale pricing? No. We are a supplier and do not follow a retail pricing structure. All of our services and products only have one price, and are the best prices that we can offer. Can I receive my order by X date? We cannot guarantee arrival dates. We process orders in the order that they are received – sometimes our work load is less and our turn around is faster, some weeks we are flat out and it is longer. We treat all of our customers fair and equally. We don’t do rush orders, and cannot move your order ahead in the queue above other customers if you have not placed your order in time for your deadline. For more information, see our page on Turn Around and Shipping. Yes. Pick up is available from our studio and can be selected when you check out by opting for ‘local pick up’ as the shipping method. We will email you when your order is ready to notify you that it is available for collection. See Turn Around and Shipping for more information. Please make sure you have received an email to let you know that your order is ready before you arrive at our studio to pick up. Refer to Turn Around and Shipping. Yeerongpilly, Queensland, Australia (about 15 minutes from the Brisbane CBD). No. Once your order has been placed and paid for, our staff will start processing it and it can not be cancelled. You must ensure that your order is correct before completing payment. If you notice an error on your order, please get in touch asap and we will see what we can do, but likely cannot make any changes. No. Most of our items are custom made to order, with the exception of some products like mixed bag of circles, glue, and jewellery supplies. Do you ship to the USA or other parts of the world? No, we only process orders within Australia. For international orders, you could consider a service like PARCL (a package forwarding service). I have an idea - can you help me? We’ll likely be able to guide you on the best way to get to your desired end result. Because our focus in on laser cutting and engraving, we typically only work with designs that are ready to go. If you have a creative concept in mind, or aren’t able to digitise what you need to place an order with us, we highly recommend getting in touch with a graphic designer, such as the ones that we recommend here. We’re truly great at laser cutting and engraving, and we’re able to give you great prices by focusing our time primarily on what we do best. Designers are usually really good at creating things to a brief (such as combining whatever you envision and aligning it to our set-up guides) – and will be able to price accordingly for their brilliant design skills. If you have any queries at all, please always feel free to get in touch via email to see what we can do, but like we said, laser cutting and engraving is our jam! No. We are an online based service and do not have a contact number for our services. You can email anytime, and we will get back to you asap with all of the help that we can provide. It is easiest for us to respond to your questions via email, because we can have a written account of what you’re trying to do, and can provide pictures and links to helpful information on our website. Yes, but only to pick up completed orders and browse our samples. Any orders must be processed online (including material swatches and samples, which are made to order). We are an online based service and do not have a shop front. Can I buy your materials? Yes. Visit My Little Acrylic Shop to bur our material sheets. What is the maximum material size? Most of our materials are 600 x 300mm, with the exception of solid wood sheets which are smaller. Please refer to our material listings for material sheet size information. Note, you must leave around 2-3mm from each edge of your vector file/s so that your designs fit WITHIN the material sheets. Can I supply a material or item to be laser cut/engraved/printed? No. We only work with our materials, which are shown in the material gallery. These materials are selected based on their quality and suitability to laser cutting and engraving. Are you able to cut or engrave metal? No. We are unable to cut or work with any metals. Are you able to cut or engrave leather? We have a laserable vegan leather/leatherette available (see it here). We don’t work with real leather (it creates a very strong odour when laser cut and engraved). We have material swatches samples available for purchase via our shop. See Swatches and Samples. We may only cut samples of your design/s if it is ordered as a custom laser cut file (as you can arrange your file however you would like it cut). If you would like to do a sample of a design, we recommend getting in cut in all MDF OR clear acrylic – these are our cheapest materials, and it is generally more cost effective to do samples in one material type. What if something arrives broken? Get in touch asap with a photo to show us what broke and we will communicate with you to seek the best resolution for the circumstances. If your order included parts that are thinner than 2mm (thinner than our recommendations), we cannot ensure that they will be strong enough to endure shipping and may not consider any damages here our responsibility. Get in touch asap with a photo to show us what is incorrect and we will communicate with you to seek the best resolution for the circumstances. If something is incorrect because the requests with your order weren’t clear (such as you didn’t give us all the information required e.g. didn’t specify dimensions, didn’t reference a previous order number, and/or were unclear about the total number of holes, etc), we are not able to offer a replacement (at our expense). We process every order directly from the website, so if you didn’t include all of the information required we would not have know what you were wanting done differently. The website isn't working for me!? If you experience any difficulty at all using our website, please let us know – we would love to hear. If you experience any errors at all, first make sure that you have added all of the information required. Try on a different browser, and also on a different device. If that didn’t work, simply email us and we will look at emailing you a quote to checkout directly.